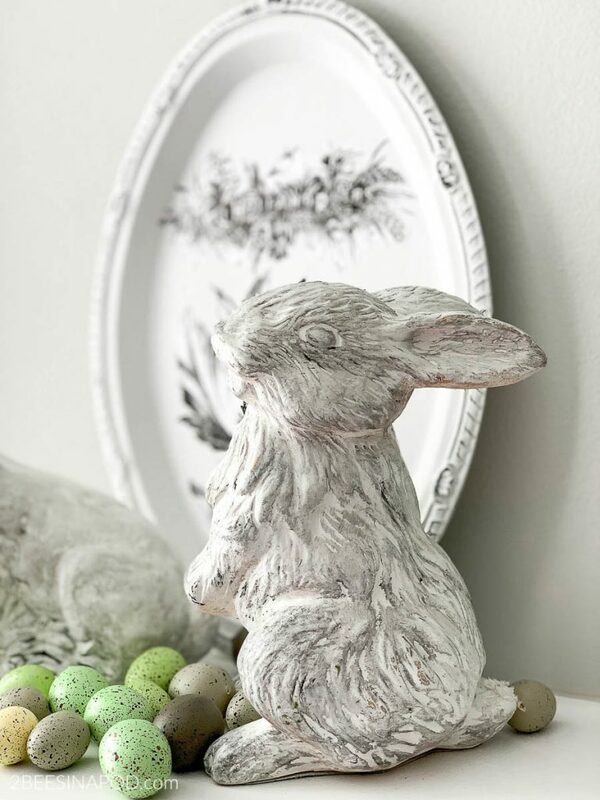 An easy Easter mantel using bunnies and speckled eggs. And this is the Easter mantel after a few simple changes were made. Bunny fever struck and I decided to add them with speckled eggs. 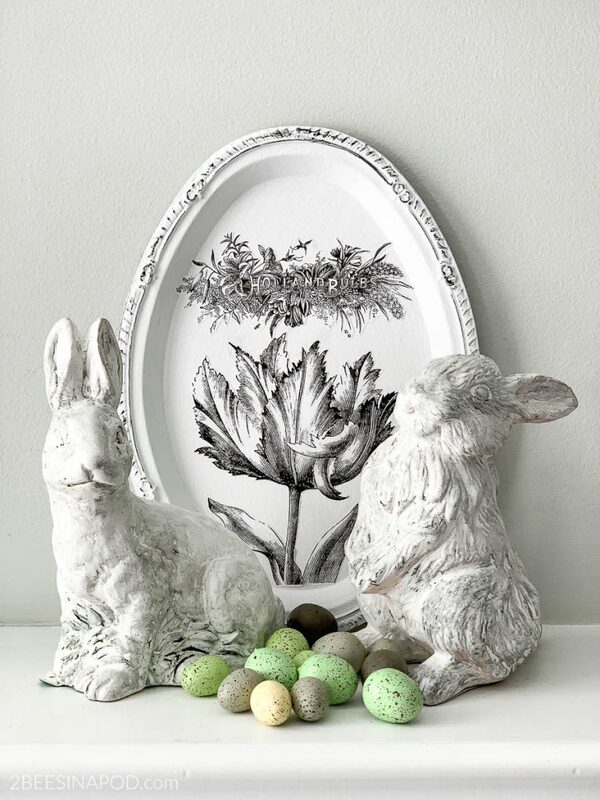 Who can resist cute bunnies, especially at Easter-time? Basically the plants were the only items removed. In their place I added the chalk painted bunnies that I made-over a few years ago. 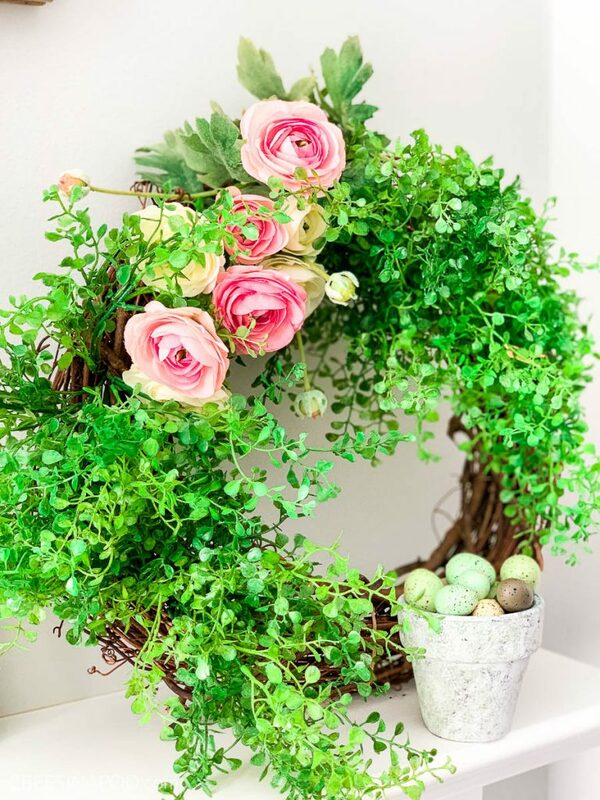 Also added is the Spring ranunculus wreath that I created last year, as well as a miniature aged pot. 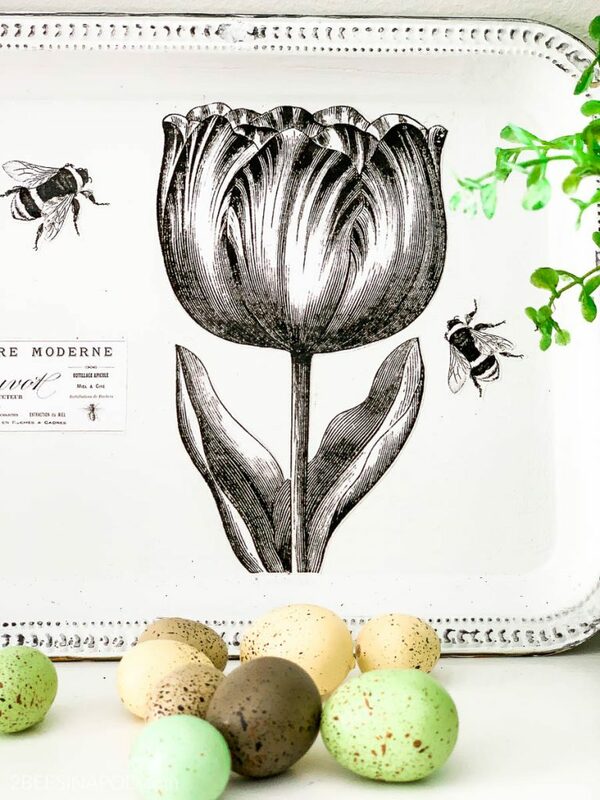 The speckled eggs I have had for years and use them every Spring and Easter. Their subtle colors look like authentic eggs. 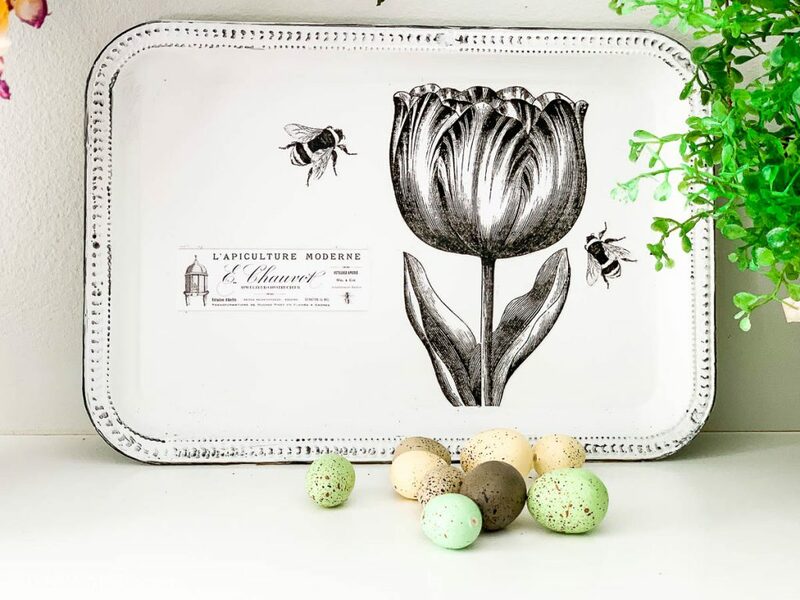 The bunnies pair perfectly with the vintage botanical trays. 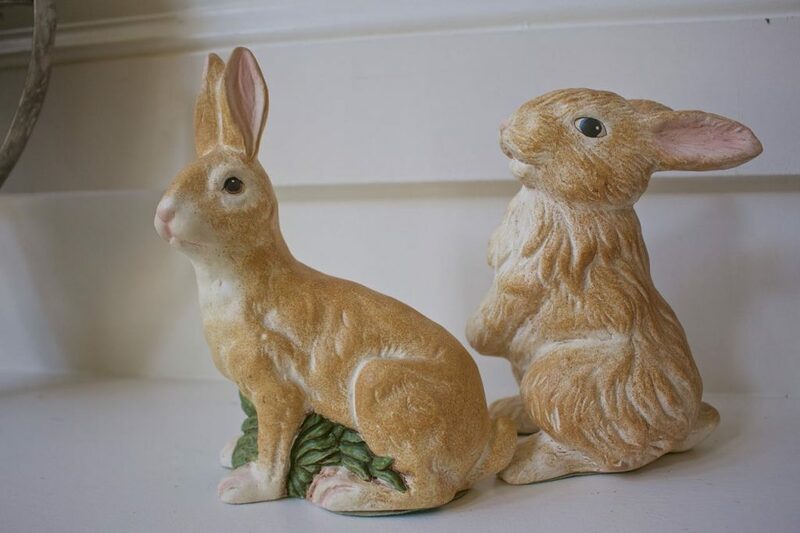 Can you believe that this is what the bunnies looked like before their makeover? This wreath adds the perfect pop of color. 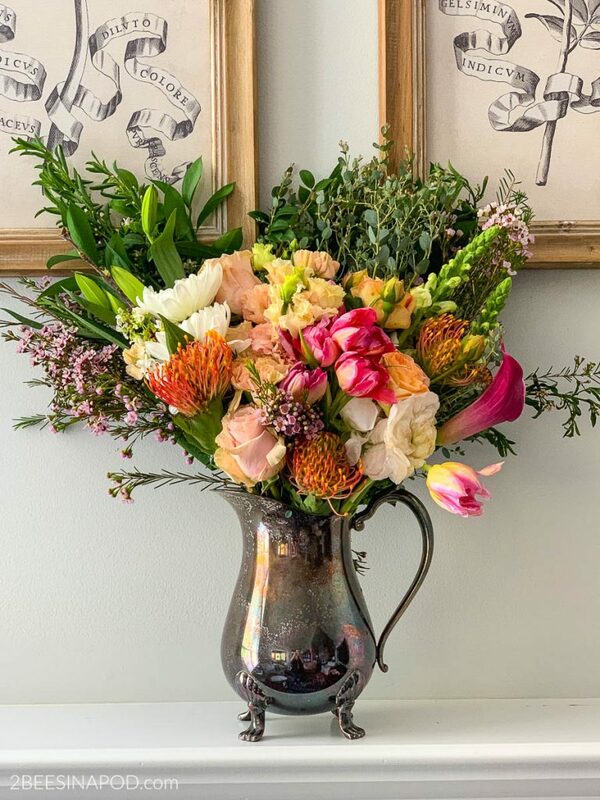 I received this gorgeous bouquet from Farmgirl’s Flowers. It looks beautiful in this thrifted vintage silver coffeepot, front and center. 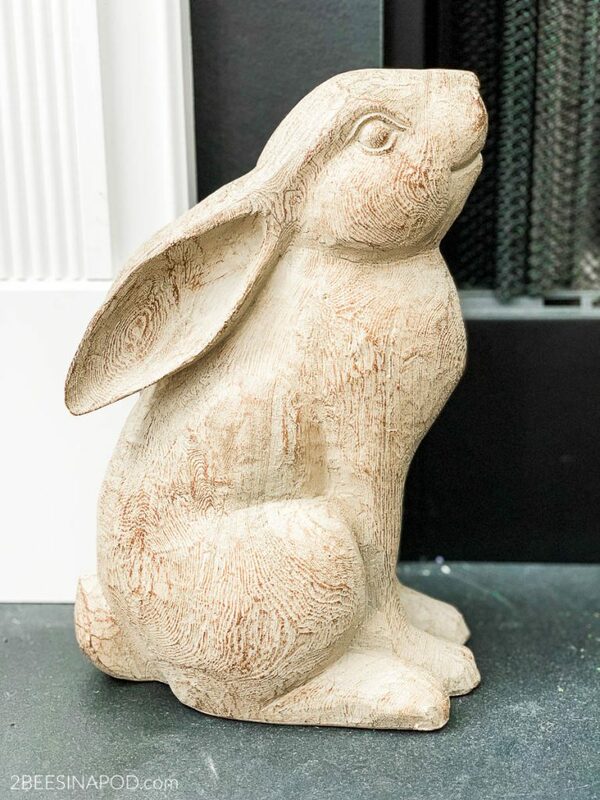 This sweet bunny was a gift from a friend. He’s made of resin but looks like wood. 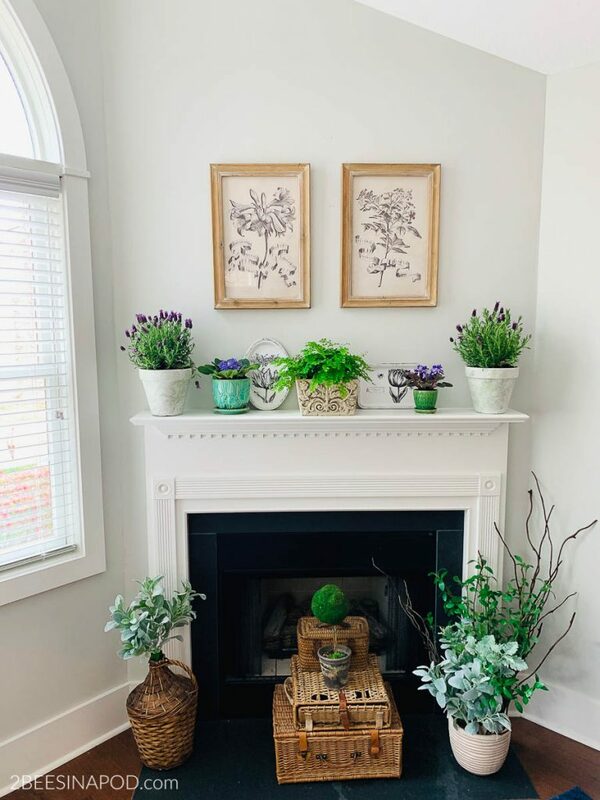 It didn’t take a lot to make the quick change from Spring to Easter decor. 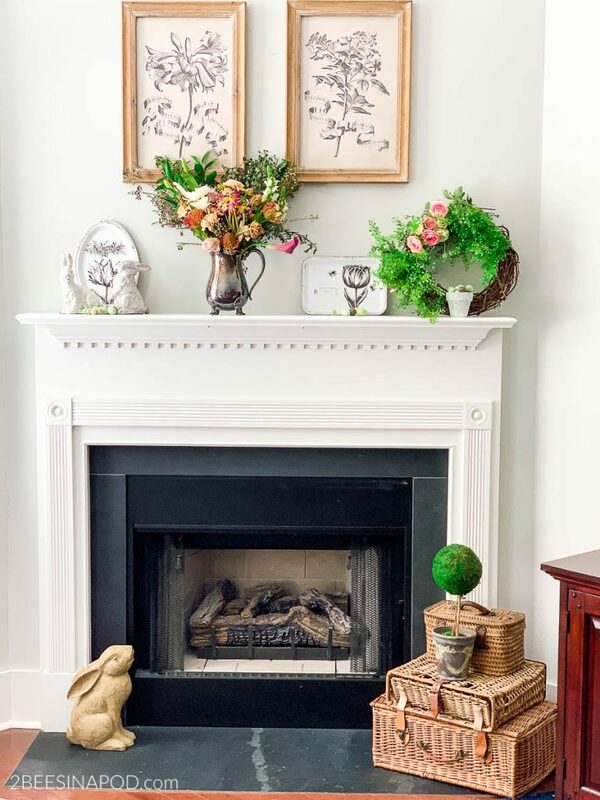 This way it will be just as easy to change the mantel back to Spring. 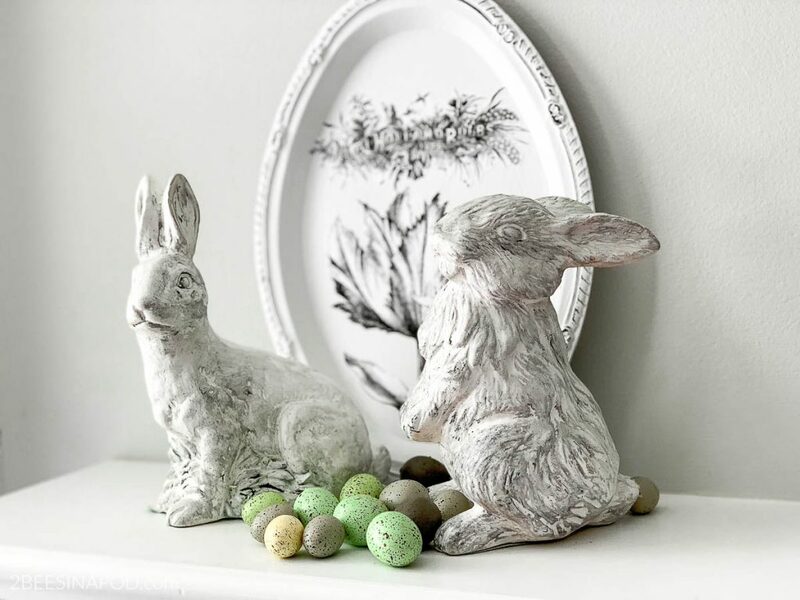 Have you done any Easter decorating?